Boatdiesel.com - The independent source of information on marine diesels and associated equipment. We use membership to help offset our costs and in	return offer additional site functions which only members can access. Whether you're a boat owner who enjoys browsing the site, a dealer who wants to publicize services	or a Manufacturer who wants to promote products then [MEMBERSHIP] has something to offer everyone. Prop Size - calculate the correct propeller size for any given vessel. Shaft Size - calculate what size prop shaft you need - or what the current shaft can handle. Power Required - calculate theoretical power required to drive a vessel. Archives - access all postings. Guests only have access to postings from the last 7 days. Add Photos and Documents - include photos and documents in your posts to share with other members. Links - add external links to your posts. Add Photos and Documents - enhance your Ad by including photos and documents for all to see. 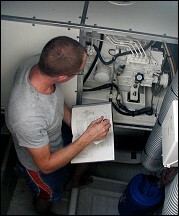 Data Sheets - access our comprehensive data sheet library via the Boatdiesel Viewer. Detailed Photos - view detailed photos via the Boatdiesel Viewer..
Products - Manufacturer Members products appear throughout the site, each provide a link to the Manufacturer's web site. Manufacturers Page - offering a prominent link to the Manufacturers web site. Level 3 Members - in addition to all the benefits available to Members, we actively promote Level 3 Members throughout the site. Dealer Directory - add external links to your web site. Forums & Classifieds - each time you add a new posting or ad, your dealer information is automatically appended. Manufacturers: Email to find out how to add your product news here - free of charge. 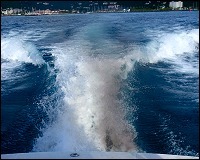 Marine Diesel Engines Ltd is established since 1996. We import, export, buy & sell. We are a worldwide supplyer & stockist of marine, industrial and locomotive engines, gen-sets and parts. We also dismantle ships, power plants and locomotives. Our website is updated daily, so visit oftens. If you have a problem finding what you are looking for, it will be a pleasure to help you find what you need. This article discusses the different types or colors of exhaust smoke and how it can tell a lot about the condition of a diesel engine. Black smoke warns of too much fuel or insufficient air. We're always looking for new Articles! - Email to find out how to add your article here. Whether you're an occasional weekend sailor, a bluewater cruiser or a full time professional, this detailed book shows YOU how to keep your engine serviced, reliable and more importantly how to identify and correct the vast majority of faults that occur with marine diesels.